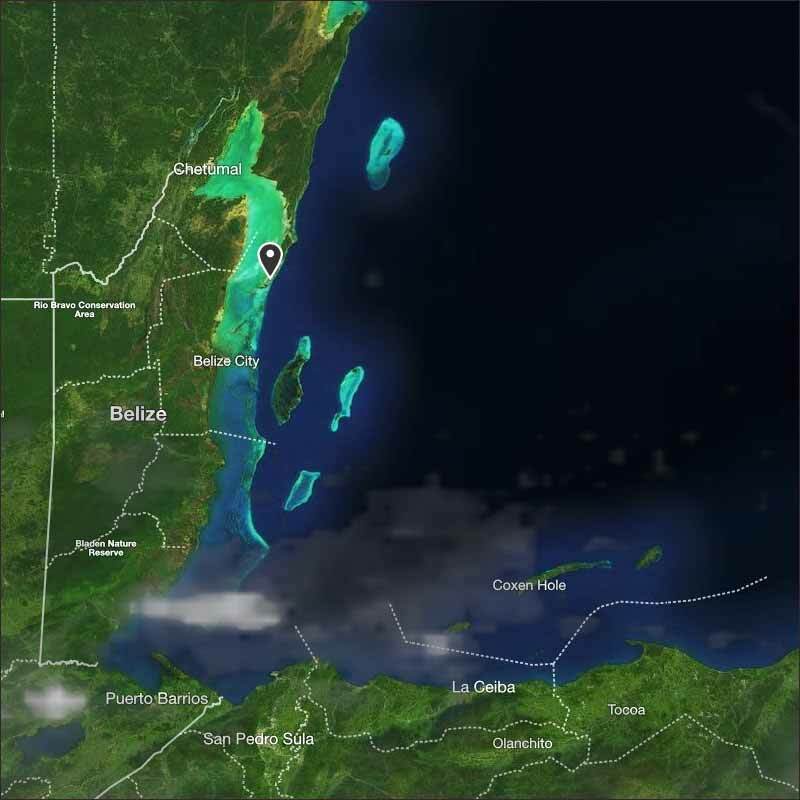 Belize NMS: Relatively moist conditions affecting the country. A few showers will linger during the weekend. 24-hour forecast: Cloudy at times with a few showers mainly over southern and coastal areas. Today: Winds: NE 10-20 kt. ; seas: Choppy - moderate. ; waves: 3-5 ft.; a few showers mainly south. Tomorrow: Winds: E-NE 10-20 kt. ; seas: Moderate. ; waves: 4-6 ft.; a few showers in the south. Marine Outlook: Saturday night:- Winds E-NE 10-20 kt. ; seas: Moderate. ; waves: 4-6 ft.; a few showers mostly south. General Outlook: For Saturday and Saturday night is for some cloudy spells with generally isolated showers except for a few more over the south and along some coastal areas. 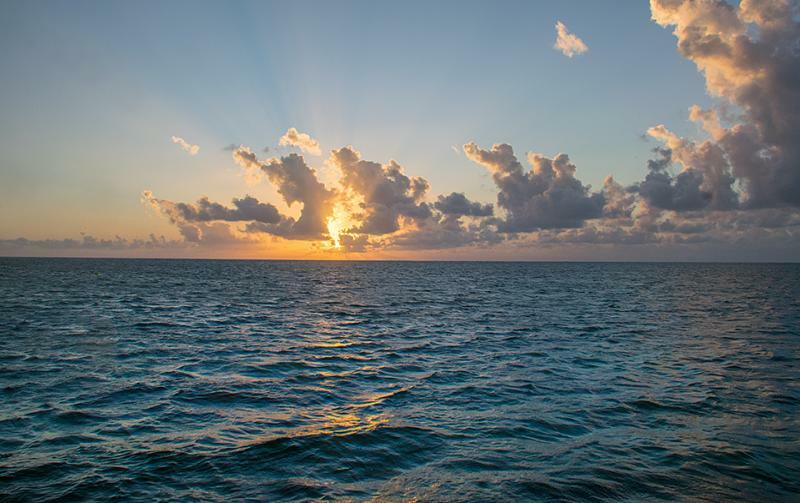 On Ambergris Caye this morning the breeze is from the NE at 10 mph and our expected high is 84. Looks like a very nice day to be on the water. A foggy start, but sun coming through now. 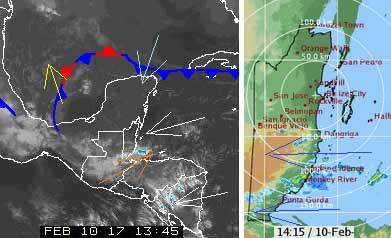 A lot of rain coming in with the easterly Caribbean wind over much of southern Belize and some in the north mountains. This rain is due to clashing with SW high level clouds. But the direction of the Caribbean winds from the ENE is being influenced by cool air coming down from the States. Not sure at present, how near the cool air will get to Belize. Hard to concentrate, 3 pairs of Parrots having a real very noisy squabble all around my house. As the fog burns off, there will be significant cloud over much of Belize and some sunshine, rain over much of south Belize this morning, a small chance of rain in other parts later.